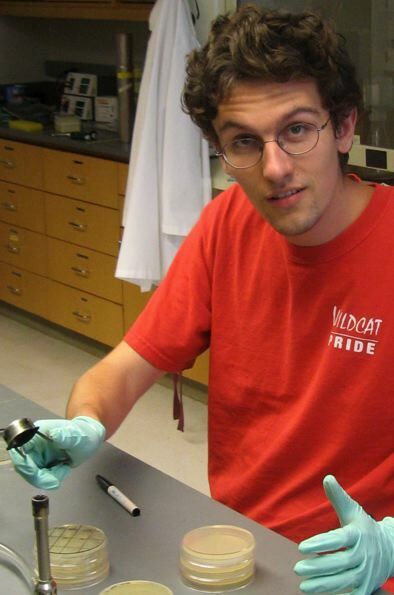 I am a senior undergraduate biology major at Davidson College. I am a biology major, but I also have strong interests in computer science and Japanese. I come from Chicago, but I grew up in France; my parents currently live in Moscow. In addition to my participation in the Davidson-Missouri Western 2007 iGEM team, I am also conducting independent research in synthetic biology. My project was to design a new bacterial computer to better solve the two-spatula, burnt-pancake problem. To do this, I worked on using the E. coli trp operon anti-termination mechanism to regulate GFP expression. Go here to see my C.V. This page was last edited on 27 April 2008, at 12:50.